The fishing this month has been fantastic. We have been quite busy and have not had many trips without great action. 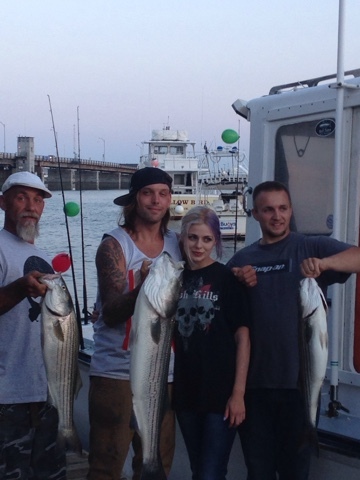 The striped bass bite has been red hot along the shoreline with tons of mackerel still accessible for live bait. Fish up around 40" and 20-30lbs have been common. Offshore the pollack haveade their presence felt on our past few trips. 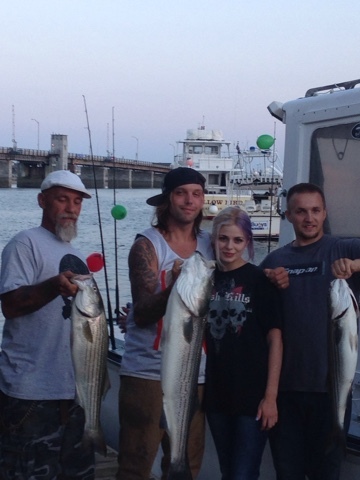 We have had a good catch of them to go with a limit of haddock on nearly every trip. Big sharks and tuna have shown up as well adding even more excite rb to the day. 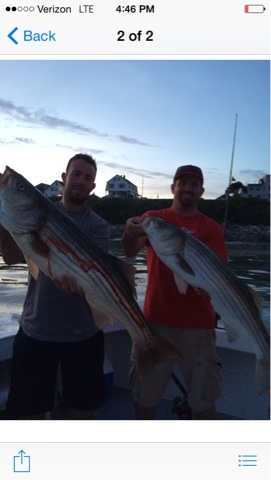 Last week we had an all day trip where we got a great catch of bottom fish by 11am and came back inside and landed several large stripers. That combo has been popular this month. As I turn to August I expect the inshore fishing to stay strong with the amount of bait we are seeing and the warm water temps. Offshore normally we see the pollack fishing improve all through the month until its usual peak in the fall. The haddock should remain easy to get. 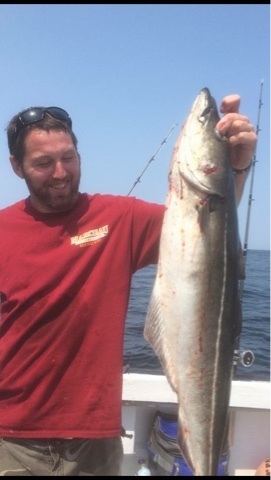 I am hoping to find some guests that are interested in fishing for giant bluefin tuna this coming month as historically August is a good month for it and reports have been coming in of fish being caught in our range almost every day. We do have some weekend availability for August and a bunch of open weekdays. Give us a call before the nice weather vanishes for another 9 months!